I outline, from a theoretical and somewhat personal perspective, significant features of Pulsar Wind Nebulae (PWNe) as Cosmic Accelerators. I pay special attention to the recently discovered gamma ray “flares” in the Crab Nebula’s emission, focusing on the possibility, raised by the observations, that the accelerating electric field exceeds the magnetic field, suggesting that reconnection in the persistent current layer (a “current sheet”) plays a significant role in the behavior of this well studied Pevatron. I address the present status of the termination shock model for the particle accelerator that converts the wind flow energy to the observed non-thermal particle spectra, concluding that it has a number of major difficulties related to the transverse magnetic geometry of the shock wave. 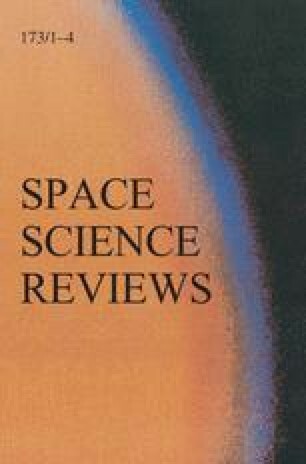 I discuss recent work on the inferred pair outflow rates, which are in excess of those predicted by existing theories of pair creation, and use those results to point out that the consequent mass loading of the wind reduces the wind’s bulk flow 4-velocity to the point that dissipation of the magnetic field in a pulsar’s wind upstream of the termination shock is restored to life as a viable model for the solution of the “σ” problem. I discuss some suggestions that current starvation in the current flow supporting the structured (“striped”) upstream magnetic field perhaps induces a transition to superluminal wave propagation. I show that current starvation probably does not occur, because those currents are carried in the current sheet separating the stripes rather than in the stripes themselves. With apologies to Geoffrey Chaucer and Margaret Atwood. Collaborators, none of whom should be held responsible for the content of this paper: D. Alsop, E. Amato, D. Backer, P. Chang, N. Bucciantini, B. Gaensler, Y. Gallant, V. Kaspi, A.B. Langdon, C. Max, E. Quataert, A. Spitkovsky, M. Tavani, A. Timokhin. The work described here has been supported by NSF grant AST-0507813, NASA grants NNG06GJI08G and NNX09AU05G and DOE grant DE-FC02-06ER41453. I have benefited from discussions with E. Amato, N. Bucciantini, C. Max, R. Romani, J. Scargle, A. Spitkovsky, A.Timokhin and D. Uzdensky.